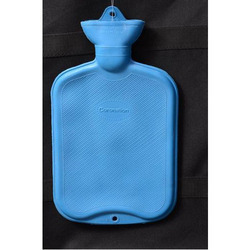 Hot water bag with electrothermal heating. It only makes a charge about 6-10 min, then it could last for warm state for 2-10 hours. New products it will be good for old people and some babies and children when live through the cold winter. We are reckoned as one of the trusted hot water bags manufacturers in India. 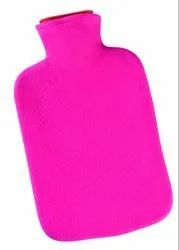 As we meet the bulk requirements of our clients, we have acquired noteworthy opposition amidst the forefront leak proof hot water bottle suppliers. We offer a comprehensive range of Hot Water Bags that are widely used in various therapeutic/medical applications. These water bags are made from top quality raw material and innovative machinery. These bags are skin friendly in nature and also have no side effect. Available in Plastic and Metal fitting. Swastik Rubber Industries Pvt. Ltd.
We are ranked amongst the renowned organizations that are engaged in manufacturing the best quality range of Hot Water Bag. Our clients can avail from us Hot Water Bag at industry leading price and delivered in recommended time frame. We are dealing in Hot Water Bag which is procured from the authorized vendor's in the market. This product has been tried on various parameters by our vendors' assuring its flawlessness. Our valuable clients can avail the offered product from us as per their requirements. This is a high quality rechargeable massager comes with warranty of 2 months replacement. It gets fully charged in 15 minutes and then can be used for an hour.The design may vary from image shown.Comes with a LED indicator which gets off when fully charged & the charger.